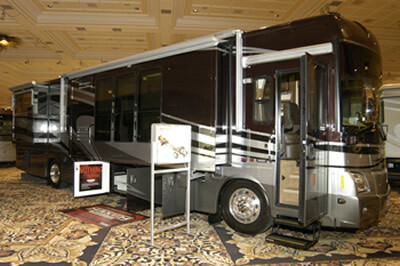 FOREST CITY, Iowa--(May 22 2007)--Winnebago Industries, Inc., unveiled its exciting, new 2008 Winnebago�� and Itasca�� brand motor homes during the Company���s Dealer Days event held May 14-16, 2007, at The Mirage in Las Vegas, Nev. With a theme of ���Dialed In,��� Winnebago Industries introduced a lineup featuring 25 model lines and 93 floorplans, 49 percent of which are new or redesigned for 2008. Winnebago Industries��� Class A diesel models, the Winnebago Vectra and Tour, and Itasca Horizon and Ellipse, feature a new Maxum�Ѣ chassis. Winnebago Industries��� engineers worked closely with Freightliner Custom Chassis to develop this revolutionary new XCL chassis and further enhanced it with Winnebago Industries��� SuperStructure�Ѣ to form a true semi-monocoque design. The chassis features a lowered rail design that creates a stronger chassis configuration, a lower center of gravity, and incorporates an industry-leading 60 degree wheel cut for improved handling and performance. The new Maxum chassis also features unparalleled storage with pass-through storage accessibility and up to 220 cubic feet of storage available. The Winnebago Tour and Itasca Ellipse feature the 32,350-lb. GVWR Maxum chassis with a 400 hp ISL Cummins diesel engine and a new 40WD floorplan. The new 40WD joins the 40TD, 40FD and 40KD models for a spectacular lineup of this innovative diesel product. The premium Winnebago Vectra and Itasca Horizon are built on the 34,320-lb. GVWR Maxum chassis with a 425 hp ISL Cummins diesel engine and feature three luxurious floorplans for 2008. 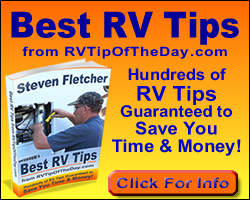 New features include an optional 60-inch slideout tray in the basement storage area with built-in drawers that extend with the tray, side-hinged compartment doors, high definition LCD TVs and optional dining and living modules so you can customize the RV to your specifications. The Winnebago Journey and Itasca Meridian were totally redesigned and also include a new 29,410-lb. GVWR Freightliner chassis that features a 350 hp Cummins engine and six-speed transmission for 2008. Two new floorplans were also unveiled ��� the 37H and 39Z. The Winnebago Destination and Itasca Latitude are brand new for 2008 and are available in two chassis configurations ��� a standard Workhorse UFO rear engine gas chassis or an optional Freightliner rear engine diesel chassis. The Destination and Latitude feature beautiful curved cabinetry, innovative interior styling, a new automotive-styled dash, an integrated entertainment center with a 30-inch high definition TV, deluxe full-body paint and a one-piece windshield with radial arm wiper system. Highlighting Winnebago Industries��� Class A gas offerings is a redesigned Winnebago Voyage and Itasca Sunrise. The new 32H model features a new full-wall slide measuring 23 feet, 8 inches and extends the lounge, galley and wardrobe with chest of drawers in the bedroom. The 32H also features new basement construction with rotocast compartments and a thicker floor with integrated furnace plenum. Available in five floorplans, the Winnebago Sightseer and Itasca Sunova were also redesigned for 2008 and feature significant upgrades including new front and rear cap designs and beautiful curved cabinetry. The 2008 Winnebago Vista and Itasca Sunstar unveiled a family-friendly 32K model with bunk beds opposite the bathroom, a rear queen bed and a new wrap-around style dinette opposite a sofa/bed in the front of the motor home. The highly popular Winnebago View and Itasca Navion feature a new, heavier GVWR Dodge Sprinter chassis in 2008 ��� 11,030 lb. versus 10,200 lb. in 2007 ��� and a more powerful 3.0L V6 Mercedes Benz diesel engine ��� up from a 2.7-liter 5-cylinder diesel engine in 2007. A new 3.5L V6 gasoline powered engine is also optional for 2008. Also at the Dealer Days event, Winnebago Industries honored 162 of its dealers who achieved the prestigious Circle of Excellence status. Since 1986, the Circle of Excellence award has been given to select Winnebago Industries dealers in recognition of their excellence in buyer satisfaction. In addition, the Company recognized its top-selling dealers by brand and region of the country, as well as those with the highest market share for Winnebago Industries��� products.